The Great One is entertaining some guests from out of town, and have been taking them around to different places to eat mostly local food. Tonight it was Seventh Son (家全七福)'s turn. It's actually been a while since I was last there, and I must admit I haven't been back very frequently in the last 2 years. I was therefore very much looking forward to this meal. It's also my first visit after they moved to their new location. Previously I have usually dined on the floor with all the private rooms, where one gets ushered around the corridors and never gets a peek at guests outside one's own room. At their new location inside the Wharney Guang Dong Hotel, everything is on the same floor. When the doors of the elevator opened, who did I see but Brother Seven... sitting at the front desk straight ahead. He was in the perfect position to get a look at each guest as they arrived - and greet his old customers. Since this was a dinner organized by the Great One, I was happy to let other people take care of ordering dishes. 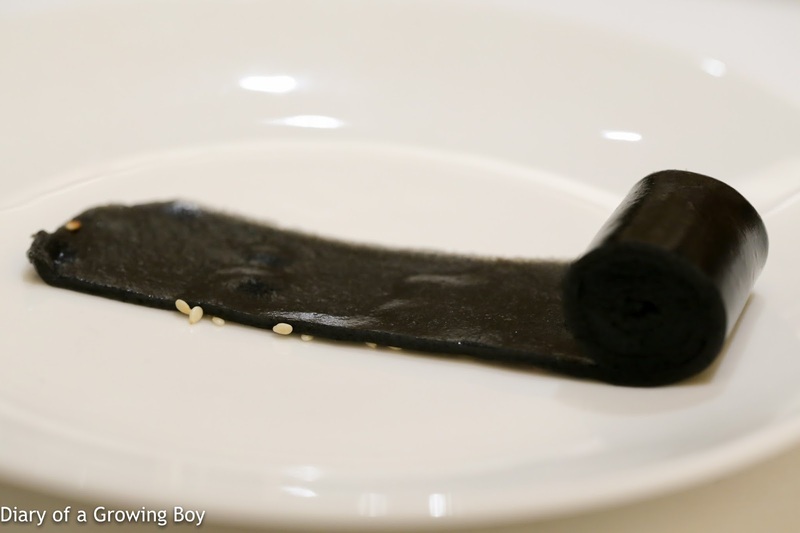 I know the dishes I like and would usually order, but it's nice to see what dishes others prefer. So I took a laissez-faire attitude during the first round... or at least that was the intention. Hello Kitty requested sweet and sour pork which, had it been at another restaurant, I would have objected. Then she was salivating at the thought of deep-fried cuttlefish... at which point I turned myself into the Food Nazi and denied her second request. Dude, we are at one of Hong Kong's finest Cantonese restaurants with two visitors from France, and you wanna do both sweet and sour pork and deep-fried cuttlefish?! You can get decent cuttlefish at dozens of places around town! So... NO! 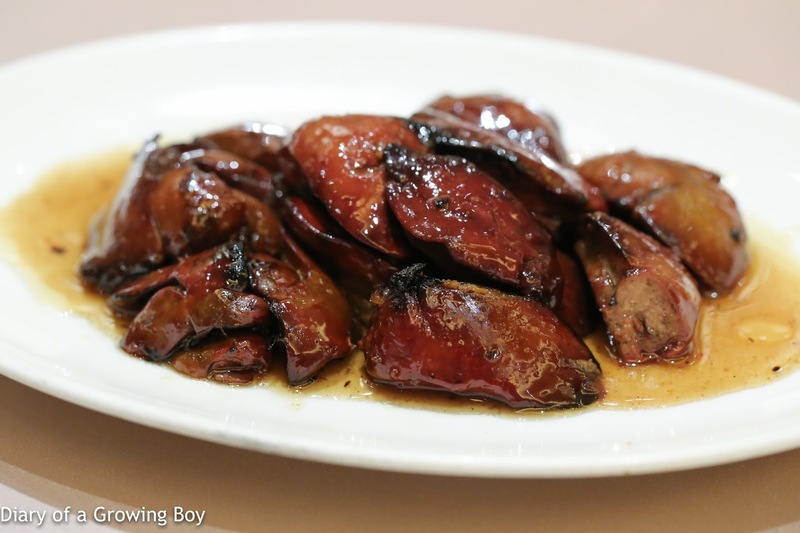 Honey glazed barbecued chicken liver (蜜汁燒鳳肝) - these were really, really good. The livers were tender and got the right amount of bounce, while the exterior was nice and tight. Oh and honey glaze never hurts. Deep-fried chicken kidney mixed with egg custard (雞子戈渣) - chicken "kidney"? Seriously? I always thought 雞子 refers to chicken testicles... Well, one of these days Imma have to ask Brother Seven for an explanation. Anyway... I've always loved these. 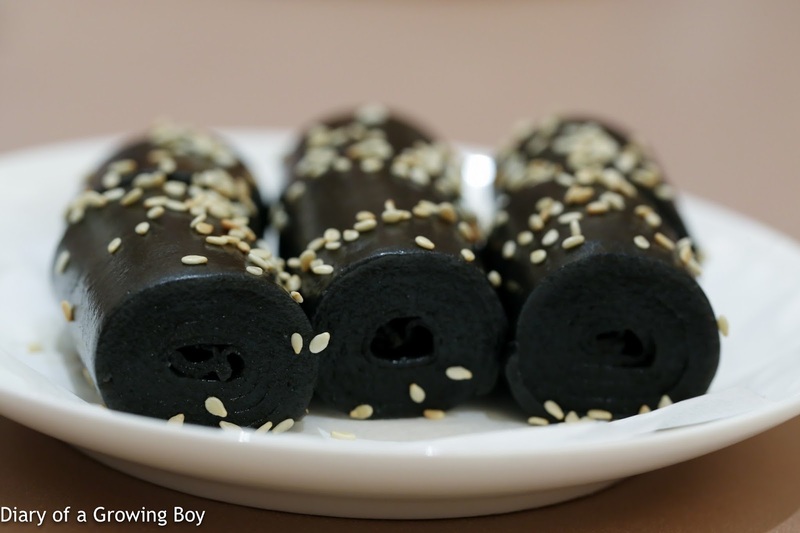 Really rich flavors, lovely texture. 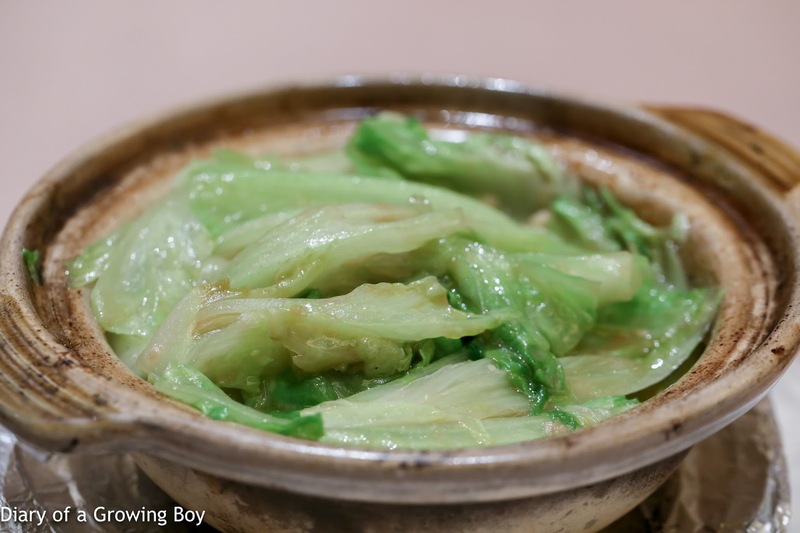 Lettuce with shrimp paste in casserole (蝦醬生菜煲) - we were kinda scratching our heads about the fact that this veg dish was served so early, but I guess that comes with the territory... After all, we are a table of nobodies sitting out in the public area, so the kitchen just sends out whatever dish they feel like. That would never happen in one of the private rooms. In spite of the wrong serving order, this was really delicious. 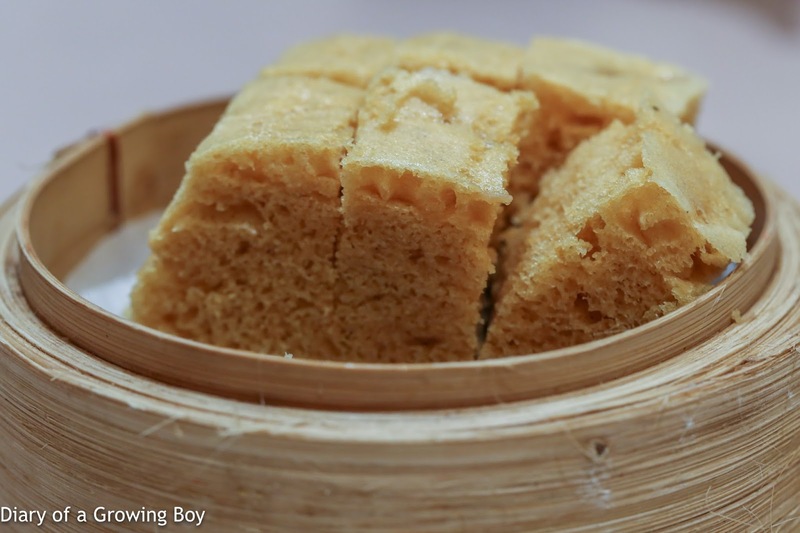 Love the punchy flavors of shrimp paste, and the kick from ginger. 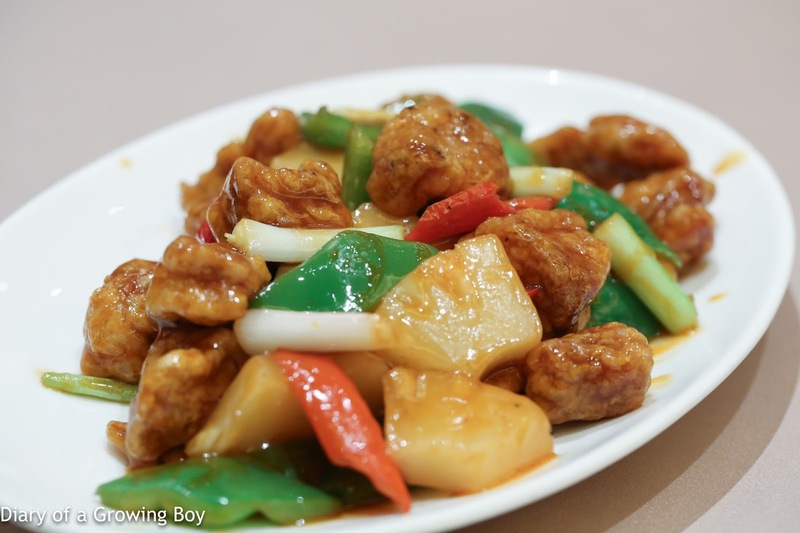 Crispy pork fillet with pineapple in sweet and sour sauce (菠蘿咕嚕肉) - yes, we actually had sweet and sour pork at one of the top Cantonese restaurants in town. Because they do it really, really well. There's no puddle of sauce here. 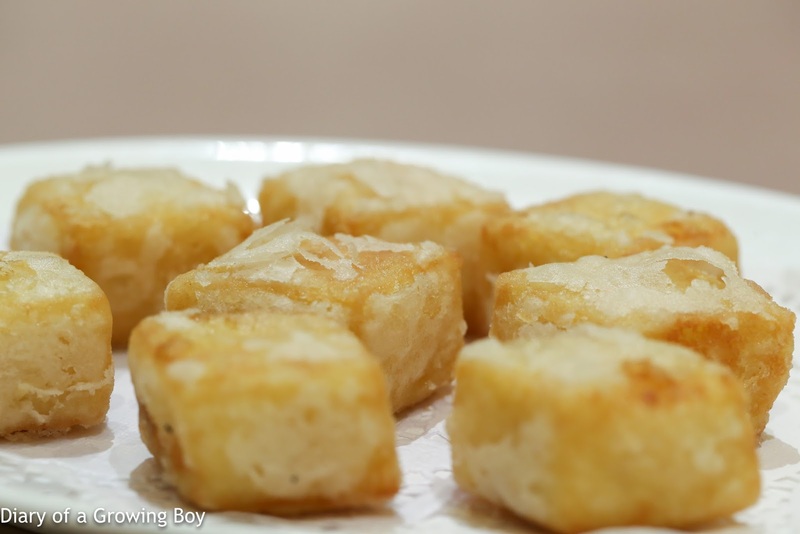 And the cubes of pork were coated in a thin and crispy layer of batter. Beautifully done. 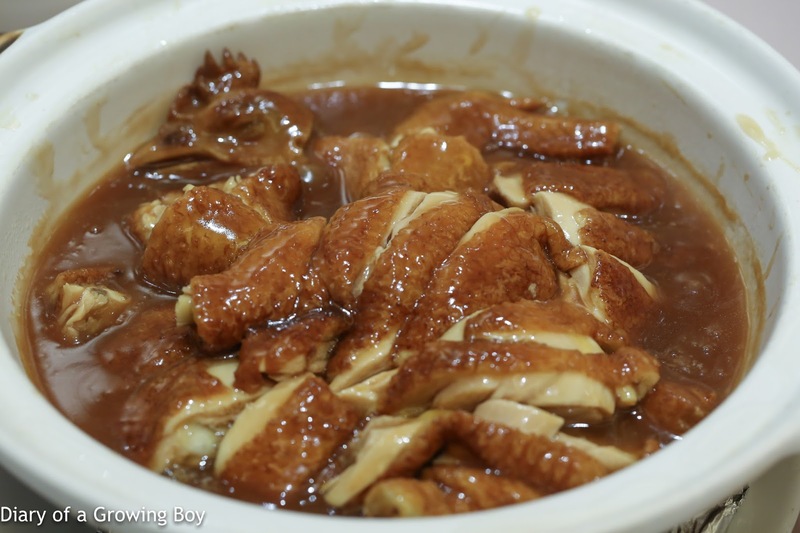 Baked chicken flavored with 'Hua Diao' wine (花雕焗雞) - very tender chicken, and love the flavors from Huadiao wine (花雕酒). Braised beef brisket and tendon in Chu-hau paste served in casserole (柱候炆牛筋腩煲) - classic, straightforward, and delicious. Incredibly tender... especially the tendons. 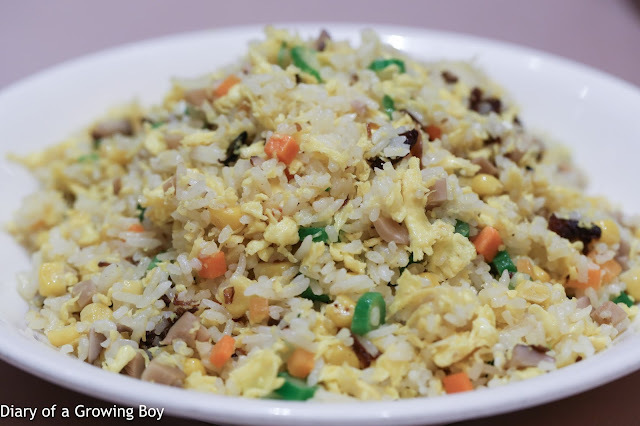 Fried rice with precious mushroom and vegetables (油雞㙡菌欖仁翡翠黃金炒飯) - I loved this dish from my previous visits, so I figured I'd order it for us. This "flied lice" was stir-fried at high heat, and the variety of veggies made it really, really delicious. 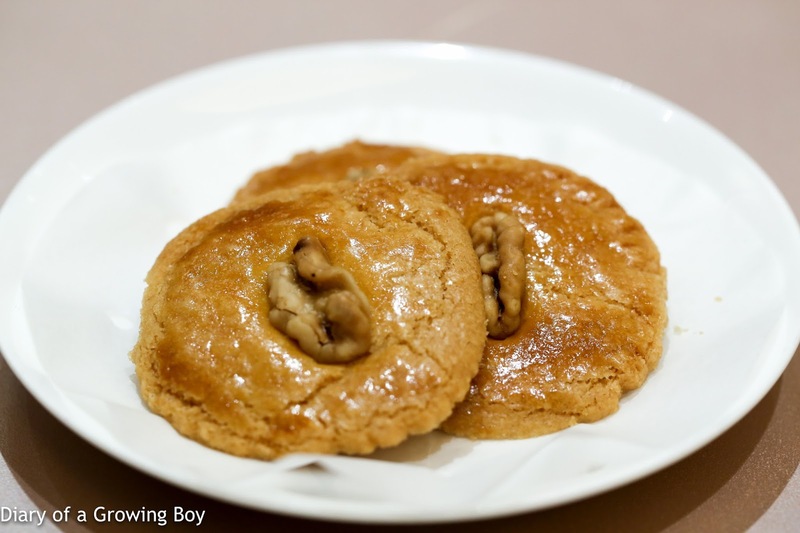 Walnut cookies (合桃酥餅) - still really really good. Intense flavors here. 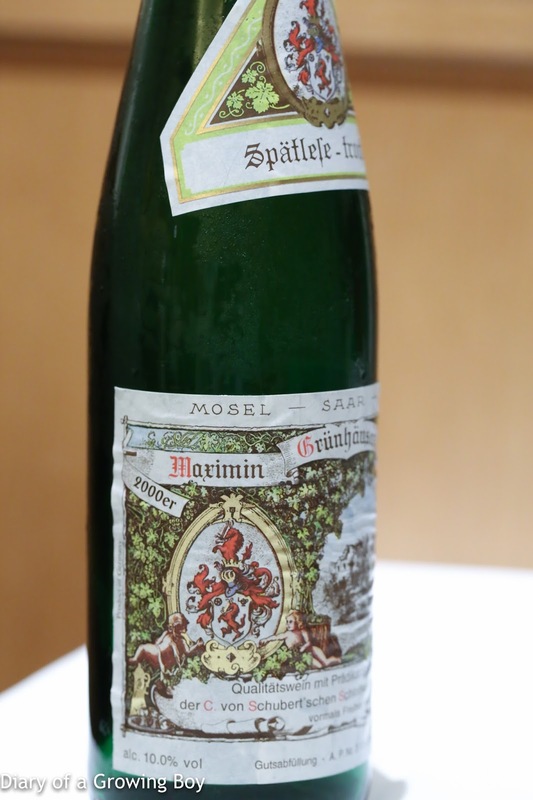 2000 von Schubert Maximin Grünhäuser Abstberg Riesling Spätlese-trocken - classic nose of petrol and polyurethane. 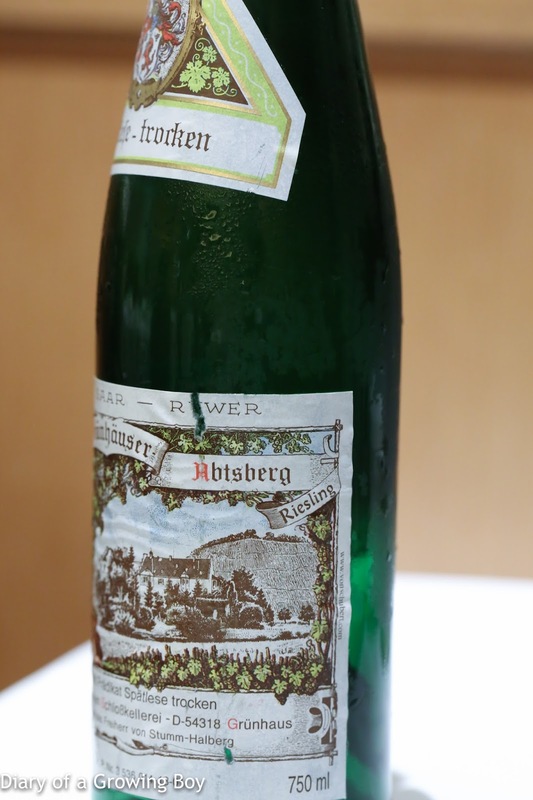 Good acidity on the palate. 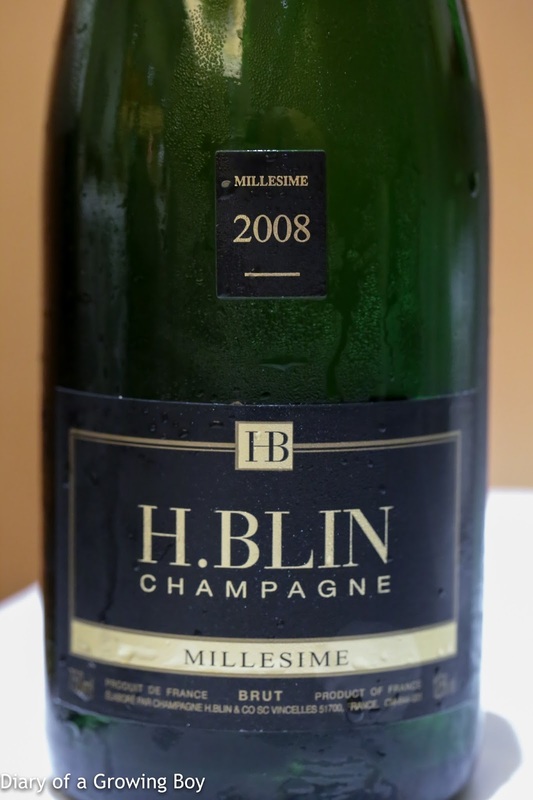 2008 H.Blin - nice and floral nose, a little caramelized. Very smooth and easy. 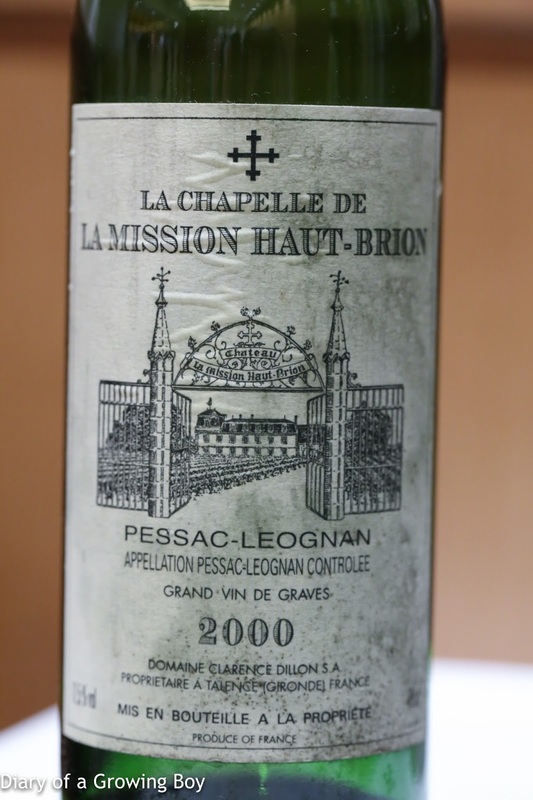 2000 La Chapelle de la Mission Haut-Brion - decanted an hour after opening. Very smoky, a little sweet on the nose, minty, a little chalky and stinky. Lead pencil. Very classic claret.